There might not be a more terrifying scenario for a NHL goaltender than facing an Alex Ovechkin slap shot. Your team is short-handed, Nick Backstrom has possession, and deep down you know, you just KNOW that Ovi is somehow getting the puck. Vegas Golden Knights goaltender Marc-Andre Fleury gave an explanation on what it’s like to be in the scenario on the NHL’s final media day before Stanley Cup action kicks off. Fleury, who has faced more slap shots from the Russian than most, said he basically just slides over and braces himself for impact. 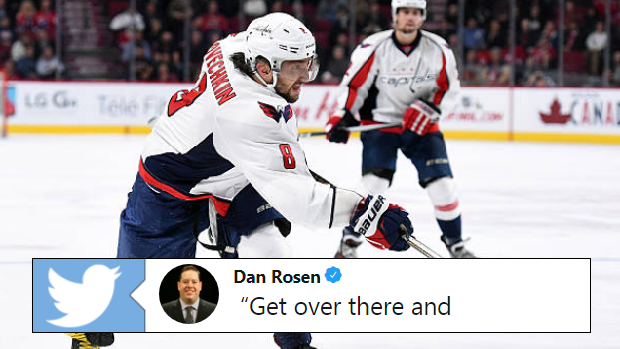 Ovechkin’s rocket of a shot was on full display at the 2018 NHL All-Star completion, as he managed to outmuscle opponenets P.K. Subban and Steven Stamkos for the honour. The 32-year-old stepped up to plate and delivered a blistering 101.3 MPH blast. Already sitting pretty in 19th with 607 regular season goals, much of Ovechkin’s scoring has relied on his unique shot. Where players such as Connor McDavid and Sidney Crosby have utilized their hands and instincts, Ovi scored a whole bunch of goals by simple one-timers. It’s going to be interesting to see if Ovechkin can put a few past Fleury throughout the series.